Marketplace forces are transforming the pulp and paper manufacturing space, from mass digitization to the maturation of the paperless movement. Many have responded by reinventing their production processes in an effort to access alternative revenue streams and reduce overhead costs, which is particularly consequential as both lumber and sawlog prices continue to surge, according to research from Benzinga. Pulp and paper manufacturing facilities generate a lot of waste. In fact, one researcher found that the average pulp and paper mill produces between 40 and 50 kilograms of dry sludge waste per ton of finished paper product. This byproduct creates considerable operational complexity. Companies must have hazardous waste workflows in place to properly dispose of industrial sludge, supporting infrastructure that greatly affects the bottom line. For instance, organizations must devote considerable resources to establishing processes that comply with Environmental Protection Agency and Occupational Safety and Health Administration standards. Of course, the very presence of waste, especially in great volume, indicates raw material disuse which carries its own budgetary implications. In recent years, leading pulp and paper manufacturers such as the International Paper Company have turned their focus to reducing waste and the expenses that come with it. IPP implemented new milling techniques that allow production teams to incorporate once-wasted lose fibers into product mixes. The company also boasts robust recovery and reuse programs, which facilitate further reductions in waste. In 2017, IPP engineered a total wastage decrease of 9 percent. The pulp and paper powerhouse intends to reduce manufacturing waste by 30 percent within two years, with the larger goal of achieving zero wastage sometime in the near future. Modern pulp and paper manufacturing facilities leverage fairly advanced production processes, but inefficiencies are still rampant – most notably, because of ineffective supply chain transparency, according to The Forest Trust. How are businesses in the industry addressing these issues? Production optimization via digitization. Leaders in the space have put into place large-scale data collection programs wherein operational teams leverage industrial sensors and robust information processing, sharing and storage platforms to gather transformative shop floor insights. This data can anchor production improvements with serious bottom line-building potential. For example, one U.K.-based pulp and paper manufacturer increased annual revenues by 11 percent by rolling out a data-backed overall equipment effectiveness initiative, according to the Confederation of European Paper Industries. With raw material costs increasing, companies in the sector must embrace alternative procurement processes to keep overhead expenses under control. Strategic sourcing is perhaps the most effective method for accomplishing this lofty aim, which entails ensuring vendor contract adherence, conducting regular sourcing reviews, and forming relationships with multiple materials providers to achieve the best prices possible. These strategic sourcing practices allow pulp and paper manufacturing companies to keep the cost of production as low as possible, even as raw material prices increase. Organizations in this niche industry must work quickly to reduce operating costs and build room into the budget to address rising raw material expenses. 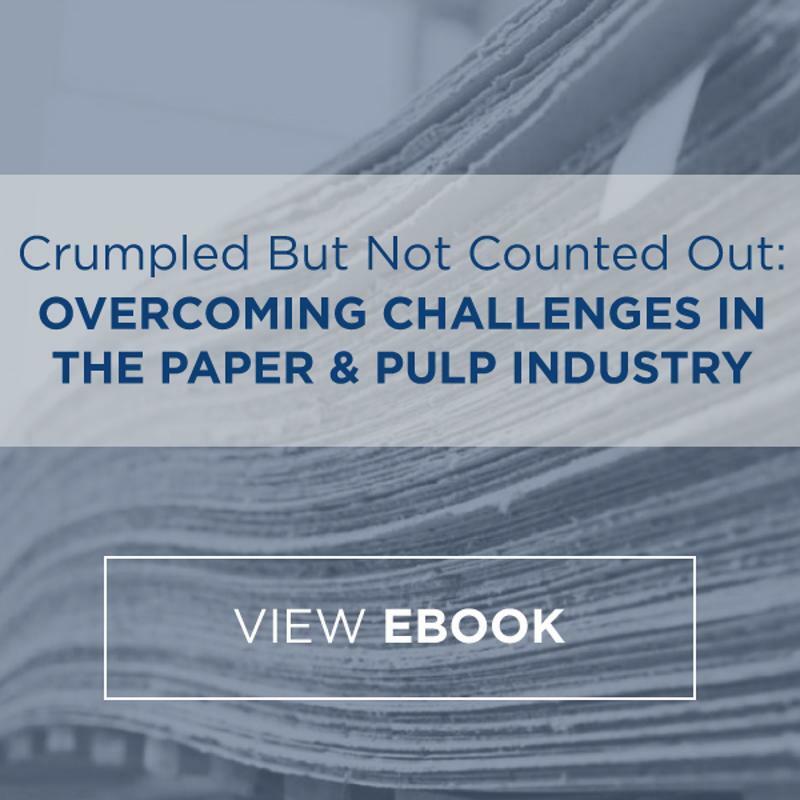 These strategies can make a significant difference by enabling pulp and paper producers to lay the groundwork for sustained success. But implementing such changes alone can be difficult. USC Consulting Group can help, leveraging decades of consulting experience to help firms in the space catalyze cost reduction. Contact USCCG today to learn more about our work in the pulp and paper manufacturing space.